We fabricate – and install – sch. 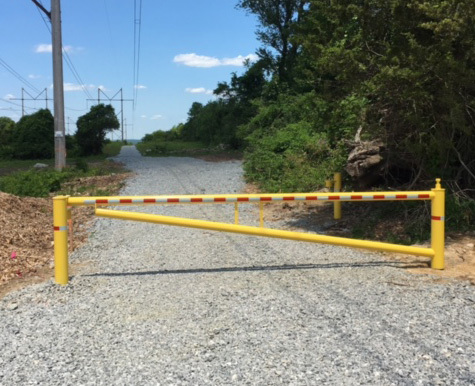 40 heavy steel pipe gates to restrict access to right of ways and private roads. Gates can be made to any specification. Standard gate size 16′ long 4″ diameter with a 6″ diameter lock open and lock close post. Double gates fabricated to widths up to 32′. All posts cemented 4′ deep in the ground and painted any color with reflective tape on both sides.